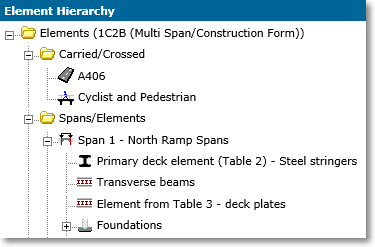 The complete asset management tool for bridges and highway structures. 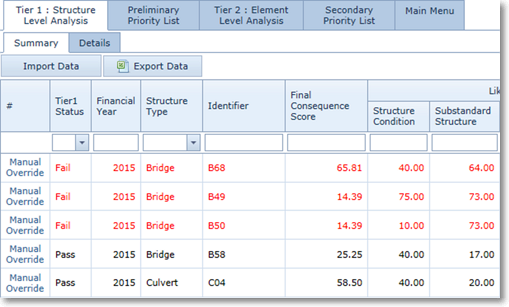 Centrally collate detailed information on your bridges and structures inventory. Upload and store important files against structures. Make use of search features. Each element can be recorded with details of its individual defects. Scores and indices are automatically calculated and reported back to you. 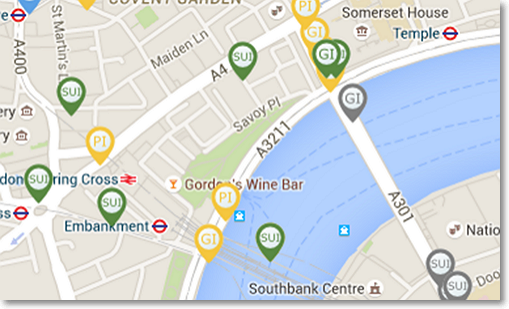 View map themes on background mapping. 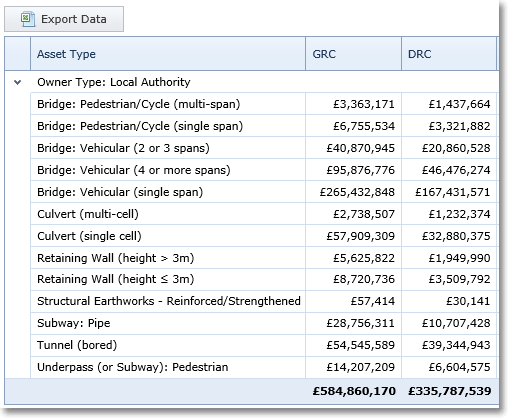 Build a report made up of the fields you need and specify your own filters. 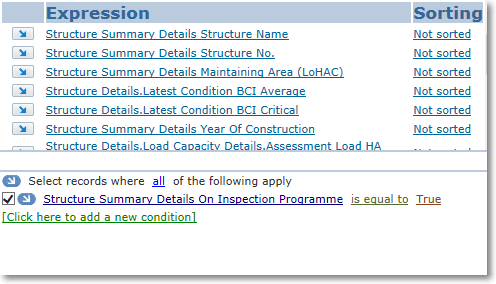 Or use one of the built in Standard Reports. Calculate Gross and Depreciated Replacement Costs based upon the latest guidance. Prioritise maintenance schemes with the value for money process. 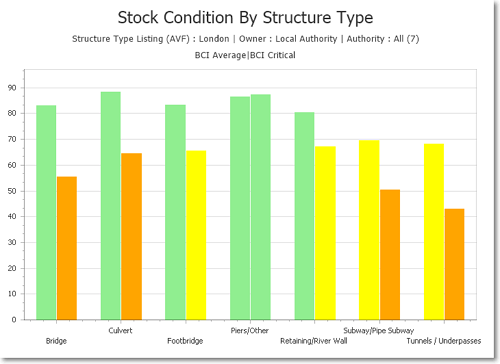 Create 60-year deterioration models for structures based upon inspected elements in BridgeStation in accordance with the Structures Asset Management Planning Toolkit (SAMPT).